In this tutorial, we will review the manual installation process of Pagekit. We will provide you with the steps necessary to complete the installation on your FastComet account and mention any specifics regarding the process. 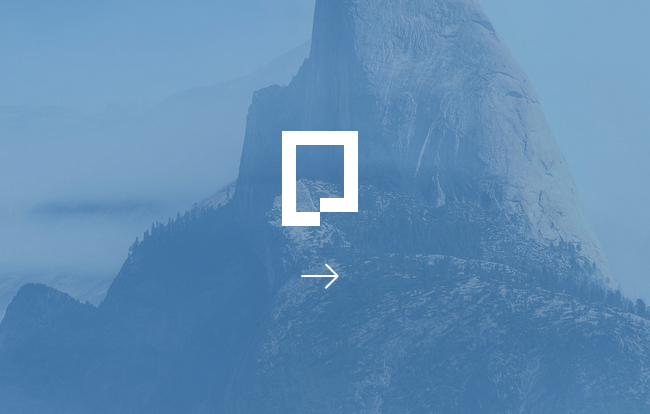 Firstly, you will need to download the latest version of Pagekit. You can do this by accessing the official Pagekit Website and clicking on the Download button. 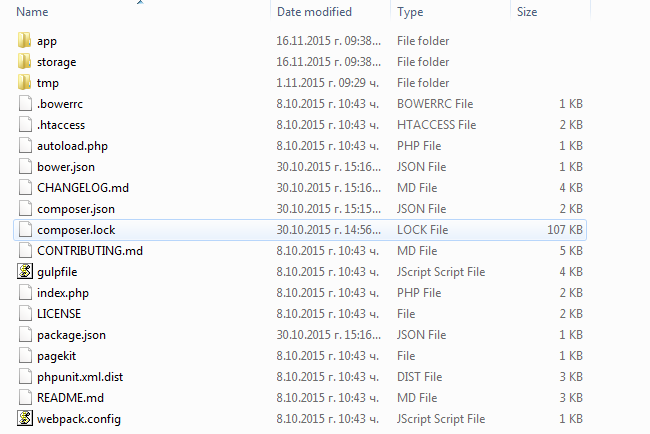 Now you will need to extract the content of the archive file which will look like this. Once extracted the content is ready to be uploaded to your account on the server. 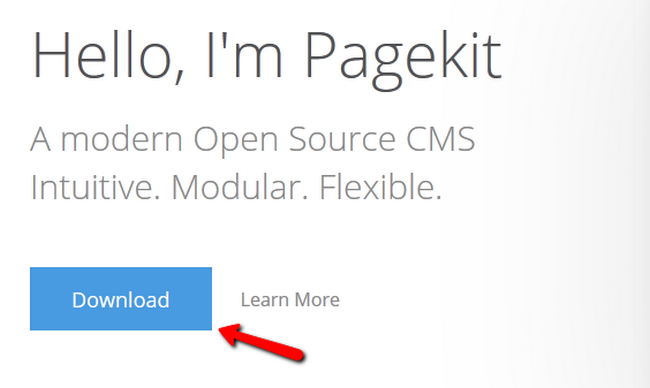 It is important to make sure that all of the files and folders of Pagekit are properly uploaded to your account and located in the correct directory, where you would like to install the CMS. If you would like to access your new website directly using your domain (example.com), you need to upload the Pagekit files to the public_html/ directory of your account. 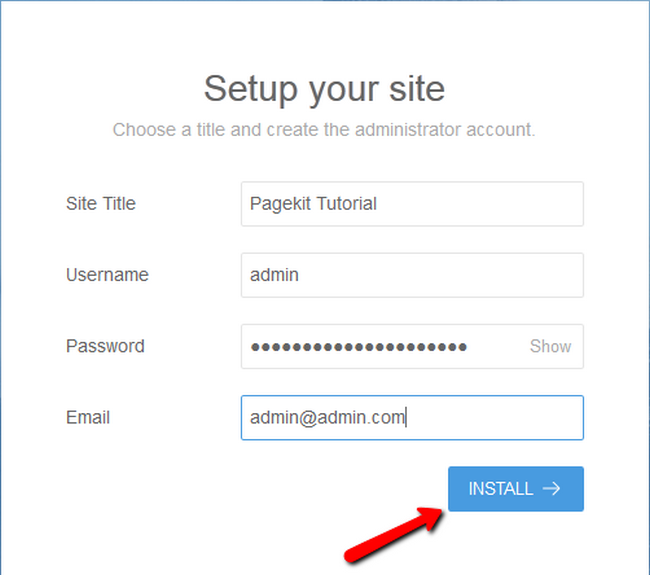 If you would like to access your website from a subfolder, such as example.com/pagekit/, in this case, you will need to create a "pagekit" folder within the public_html/ directory of your account and then upload the files in it. To initiate the Installation process you will need to open your browser of choice and navigate to the location of your Pagekit files. Once there you will see the installation wizard and you will need to click on the arrow to proceed. 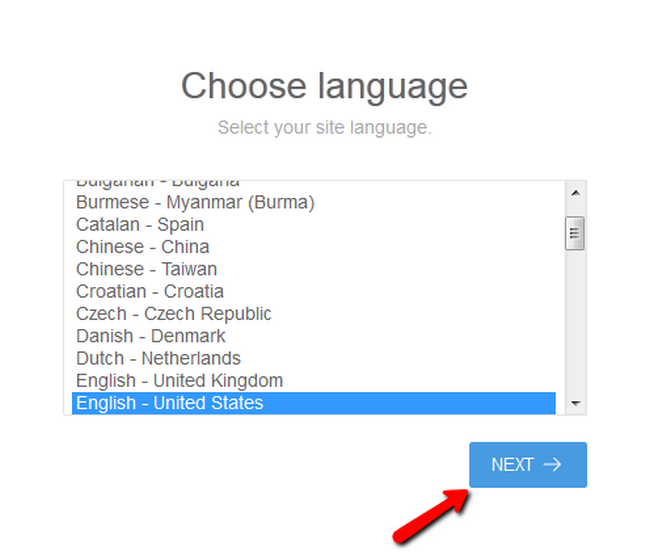 Now you will be able to choose the language for your Pagekit Website. You can change this afterward. When you have made your choice, click the Next button. 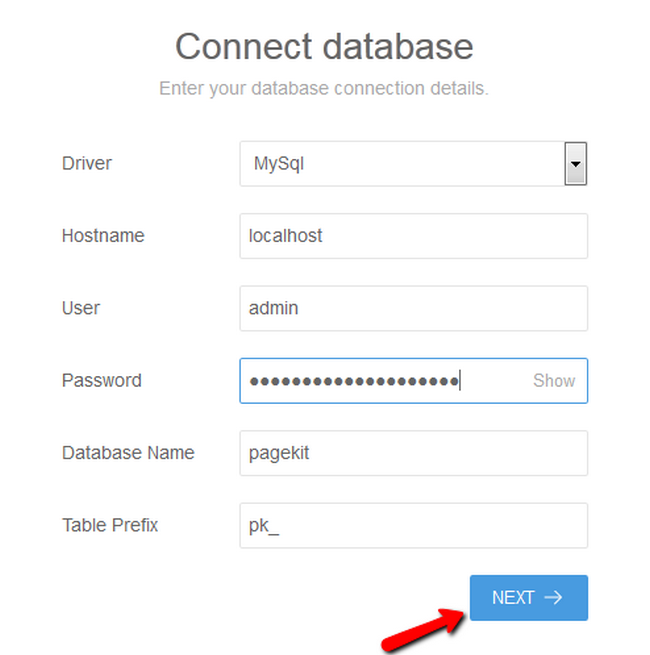 In the next installation step, you will be able to connect an existing database or let Pagekit create a new database for you. When you are ready with the database configuration, click the Next button. The last part of the Manual Installation includes the creation of your Admin Account. Click on the Install button to complete the Installation process. Now you can access your website’s back-end by navigating to example.com/admin and login with your admin credentials which you have just set up at the end of the installation. Congratulations, you have successfully installed Pagekit on your hosting account.